OPEN HOUSE Sunday April 8 from 2-4 pm!! 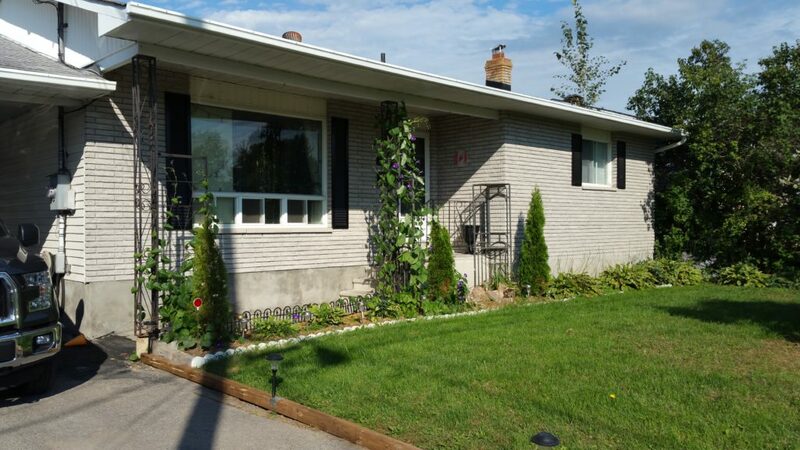 Lovely 3 bedroom, 2 full bathroom bungalow home in the heart of the village of Rockland. New NATURAL GAS furnace has been purchased, new ductwork done and ready to go. Seller is just waiting for the line to be brought to the home, once the ground thaws…which should be any day now! All baseboard heaters will be removed once they are no longer needed. This home has been incredibly tastefully updated! ALL NEW in the last 4 years: Central air conditioning, a brand new GORGEOUS kitchen (cupboards painted, stainless steel stove, dishwasher, microwave, beautiful glass tile backsplash, painted & taps), the entire home has been painted, stunning ark laminate laid on the main floor, berber carpet in Living Room, washer, dryer and laundry sink. All the lower level needs to fully finish it is a ceiling for 3/4 of it. (Family Room has a ceiling). It has a full bathroom and all the room are in place so it could potentially be used as another unit, as door at top of stairs is from the backyard. There is also a 6 x 5 foot nook in lower level perfect for an office. Tons of room here! 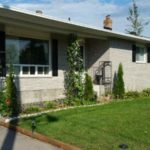 The backyard has a great deck, a lower level patio, a 6×8 steel shed, is completely fenced and there is some lovely landscaping around this home. All this and so close to all the amenities Rockland has to offer!! Definitely a must see!! !